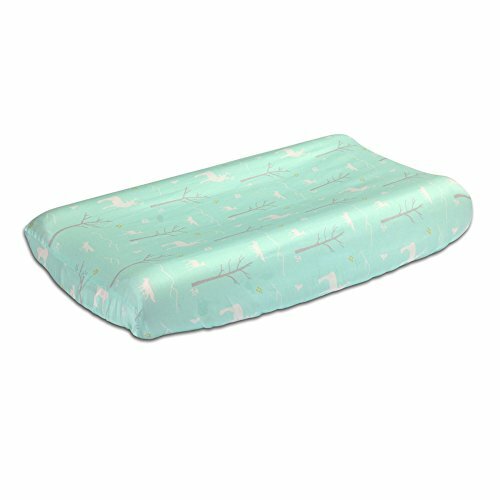 This Peanut Shell changing pad cover features a contemporary woodland print in mint green on 100% cotton sateen. It includes buttonholes on the sides to accommodate changing pads with straps and buckles to keep baby safe and secure. Coordinating crib bedding, including quilts, crib skirts, and sheets, and other nursery decor accessories are available from The Peanut Shell to create the perfect nursery.